Cape Town - This is the time of year when parents have to face the annual cost of fitting out their children for the new school year. And it's not as simple as just buying a pair of shorts, a few shirts, socks and shoes. 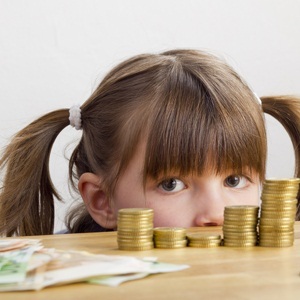 The cost of school clothing increases if your child takes part in a sport or multiple types of sport. On top of that, a school might require school-specific branded clothing, often only available at a certain supplier. A school specific blazer, for instance, can cost close to R900. 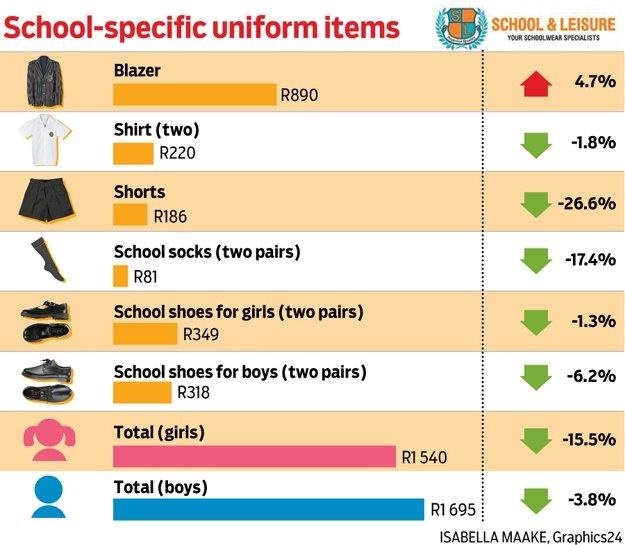 A survey among three suppliers of school uniforms done by Netwerk24 shows that, depending on the supplier, the price of some generic school clothing items like a standard white shirt has dropped by up to 35.3% compared to last year. At the same time, the price of other clothing items like a pair of grey shorts has gone up by 87.9%, depending on the supplier. 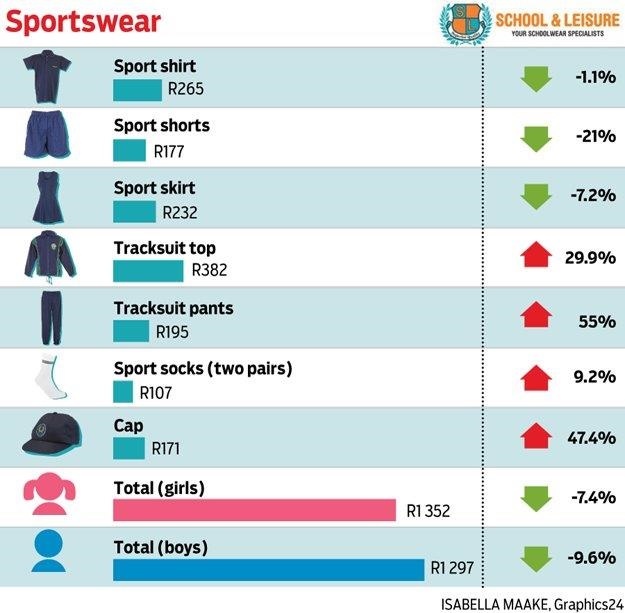 As for sport clothing, it seems the cost of tracksuits has increased the most. 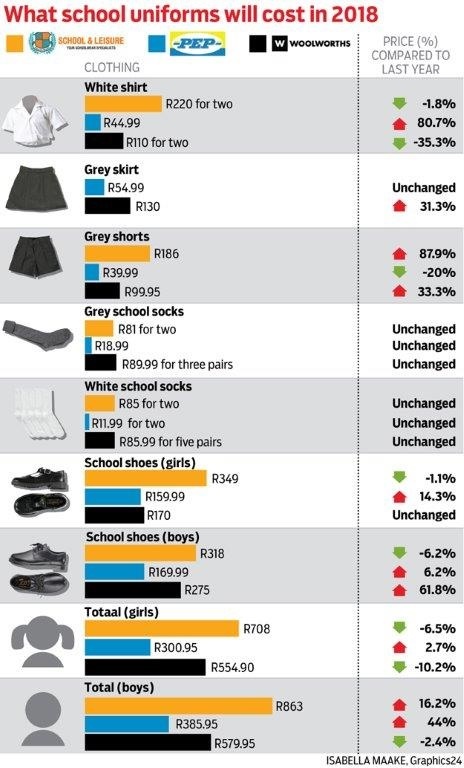 Apart from the price of school-specific school blazers, the survey found that most school-specific clothing items have in general become less expensive, as these graphs by Graphics24 show. For more news in Afrikaans, visit Netwerk24.